So, I just finished up the last two books in the series and all I can say is WOW! This is probably one of the best series that I have read in a long time. I know I sound like a broken record, but when I really like a book, or in this case a set of them, I am going to let you know about it. These last two books were very well written and had many twists and turns. I had a hard time putting them down and my wife let me know about it too lol. All of you book lovers out there know how hard it is to put down a great book though. Riordan did a great job of incorporating new characters into the books. To be completely honest I had no idea that there were so many mythological gods. It was very interesting for me to read these books and has kind of sparked my interest to know more about what exactly people believe about these gods and how they play a role in society today. I can't say enough good things about these books. If you haven't picked them up yet you should. 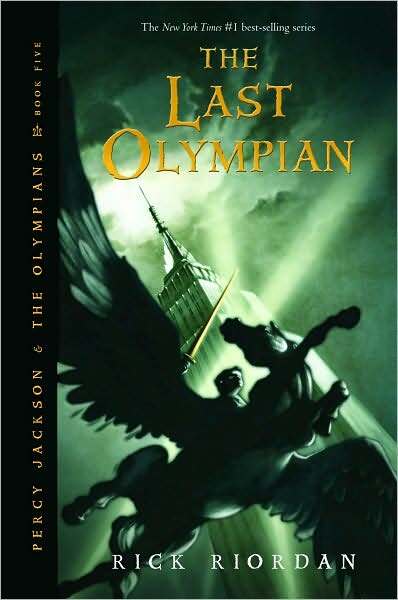 I hope the Riordan considers writing another series of them. He certainly left himself that liberty. We will see where he goes from here. Overall this series gets 5 big stars from me.